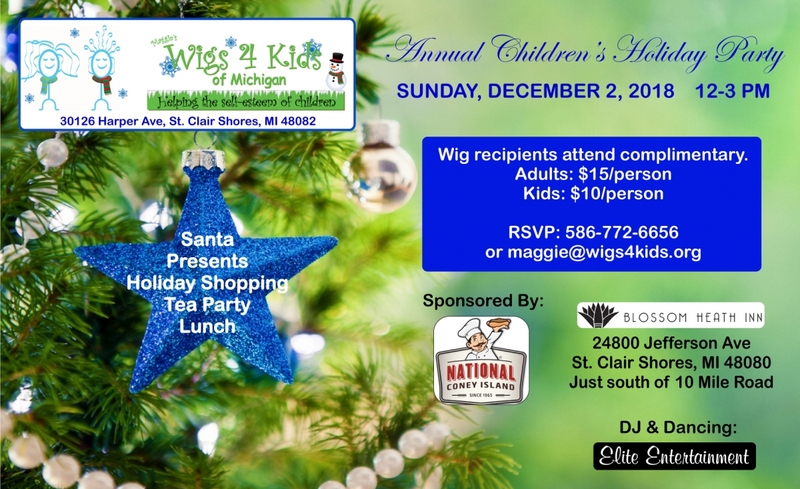 Maggie's Wigs 4 Kids of Michigan's annual children's holiday party will be held on Sunday, December 2, 2018 from 12:00 - 3:00 pm at Blossom Heath Inn (24800 Jefferson Avenue, St. Clair Shores, MI 48082). 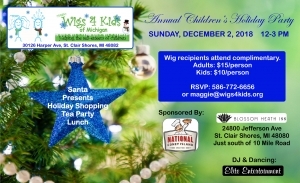 This event is for Maggie's Wigs 4 Kids of Michigan recipients and their families to enjoy a holiday celebration, shopping, presents, a visit with Santa, lunch, princess tea party and much more! DJ/MC and dancing provided by Elite Entertainment. This event is sponsored by National Coney Island.